Chicago is a tapestry of many different people from various walks of life and nationalities. However, this doesn’t mean that everyone lives in perfect harmony. The city is broken down into small neighborhoods that could be defined through race and/or socio-economic class. All of this manifests itself in the form of being the most racially segregated city in the USA. Thus, if someone tells you if they’re from one of the “sides” of the city, you can almost always determine what race and/or tax bracket they fall into. Disclaimer: the following are stereotypes associated with residents of different parts of the city, but some aspects are rooted in truth. Northside residents are normally more educated, affluent, and white (of Central or Northern European descent). Westsiders and Southsiders are a bit more variable in their education and economic class, but one can find more black, Latino, Southern and Eastern European enclaves in these parts of the city. Along with that, there is a certain feel that the Southside is more blue collar and Ditka-obsessed in comparison to the genteel and hipster Northside. It’s especially evident in the crosstown baseball rivalry with the Northside Cubs and Southside White Sox. Therefore, I’d like to bring a bit of my old neighborhood on the Southside that is an institution. 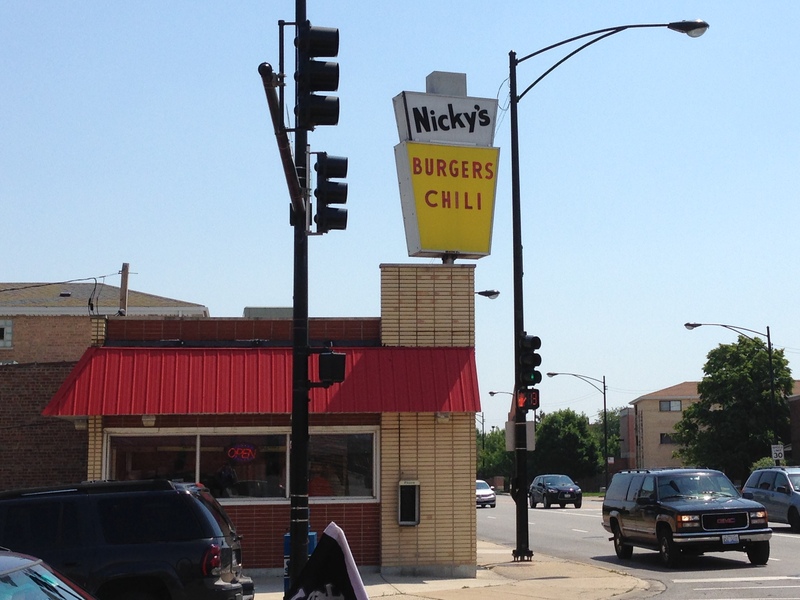 I’m talking about Nicky’s Hot Dogs in the Garfield Ridge neighborhood located at 6142 S Archer Ave, Chicago IL 60638. Ever since I could remember, my family and I would visit this family-run hot dog stand to get a ton of delicious food for reasonable great prices. I was recently in the ‘hood and decided to pay the old boy a visit. I got there around lunchtime, and as I expected, the minuscule parking lot was packed to the hilt. I parked on the adjacent block since I was getting my food to go. As soon as I stepped in, the place hadn’t changed in ages. They still have the same swivel seats along the lunch counter and plastic signs for menus. Nicky’s is a symbol of the no-frills, hardworking, homely spirit of the Southside in both decor and menu. It ranges from burgers to Polish sausages to hot dogs as you can see in the following picture. I wanted to get two of the best items on the menu: the Big Baby double cheeseburger ($2.90) and a hot dog ($2.25 with free fries). However, I’d definitely recommend their gyros as well. The cashier joked about Brazil winning the opening game of the World Cup against Croatia (he was Croatian) and possible riots after a Brazil loss. I assured him they didn’t have to worry; people were rioting before the first ball was kicked. After placing my order and waiting with a diverse clientele of Polish and Mexican construction workers, bankers, and families, my food finally came out. 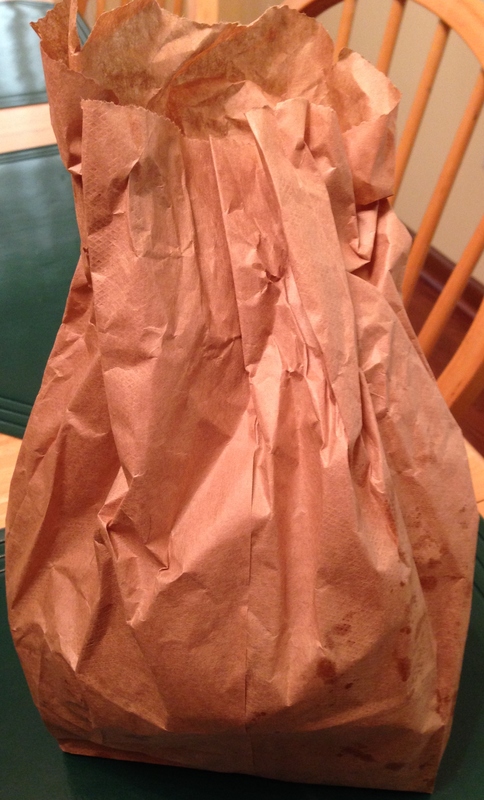 It was encased in a simple brown paper bag, and I could already see the grease stains coming through from the mountain of fries they give you. If you are worried about portion sizes, put them to the side when hitting up this Chicago eatery. 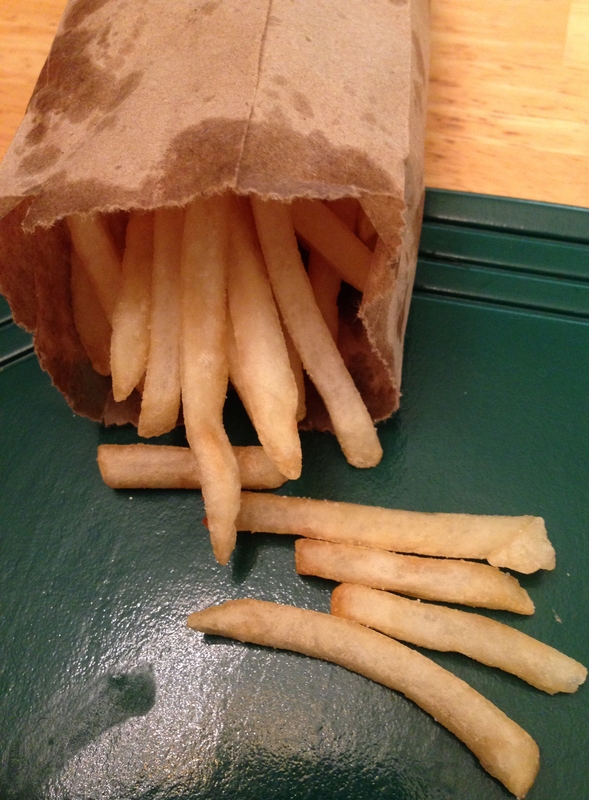 Their fries are a bit on the salty side, but that doesn’t take away from their overall quality. Then there is the Big Baby. 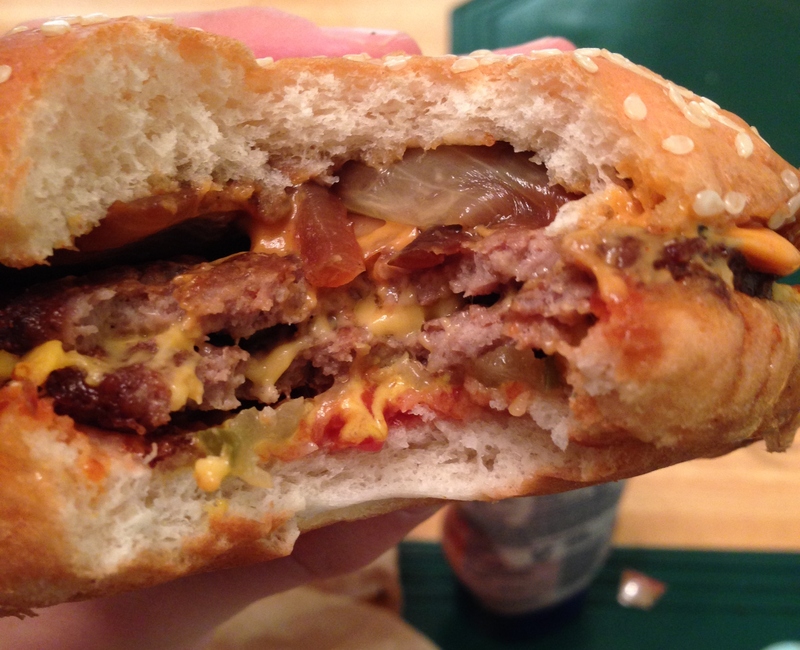 It’s a double cheeseburger that grabs you at the first bite with it’s grilled, juicy patties, melted slices of American cheese, pickles, ketchup, and caramelized onions. While it wouldn’t be considered “big” according to ‘Murikan standards where a big burger could feed a family of three for four days, it’s a titan in terms of flavor. 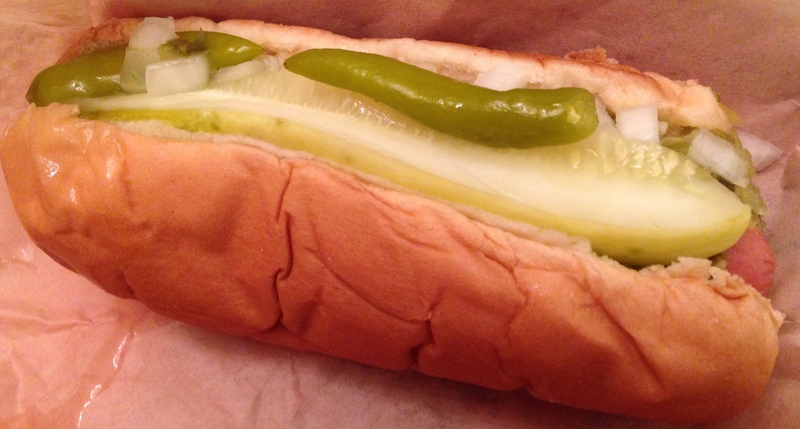 As for the hot dog, they are of a boiled variety and then topped with almost all of the standard Chicago toppings: onions, mustard, relish, and pickled sport peppers. 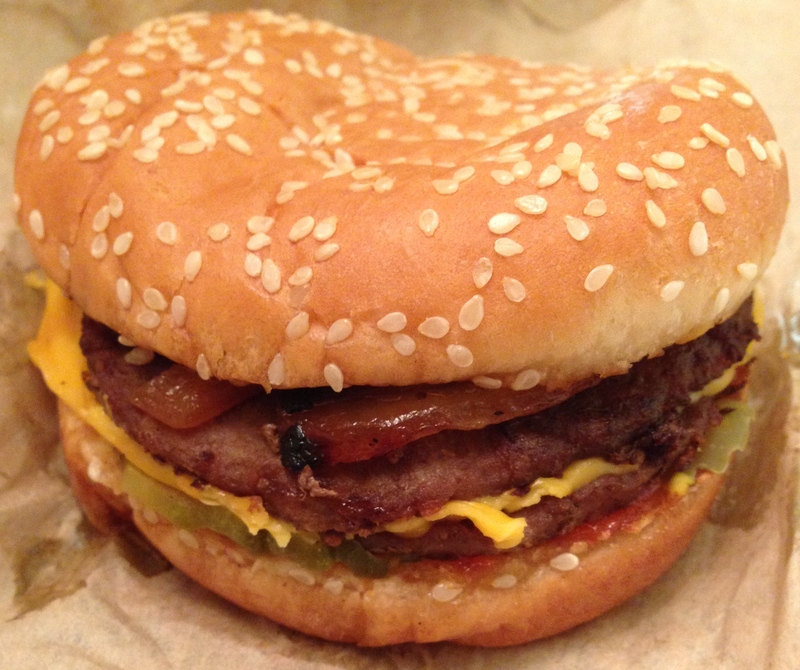 No ketchup here, and you will be chewed out (pun intended) if you ask for it. 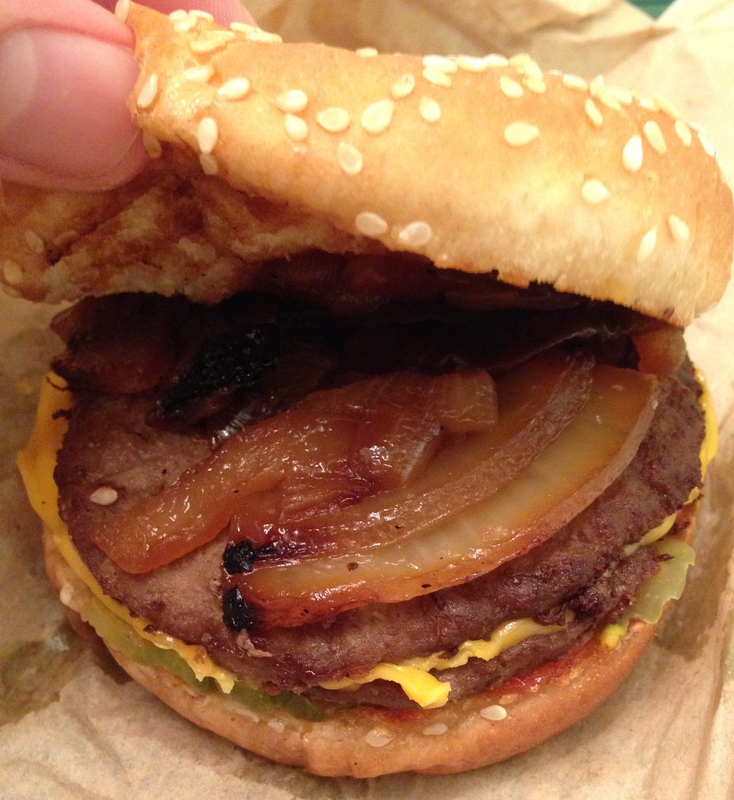 While it lacks the tomato slices I enjoy, I love the beef mixing with the sweet relish, tart mustard, and pungent diced white onion atop the bun like confetti. By the end of the meal, I finished strutting down memory lane with a full stomach and a “see you soon” in my mind. 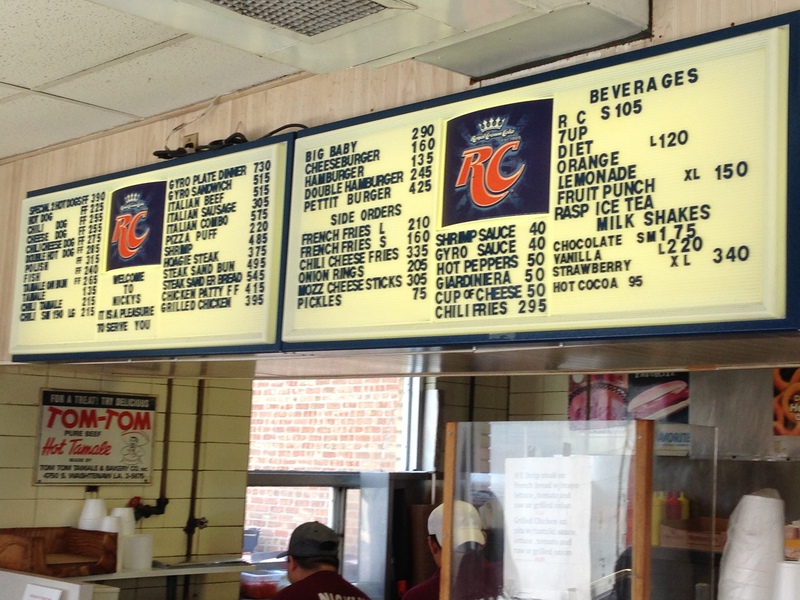 So if you want to venture beyond the cutting-edge eateries and more expensive restaurants on the Northside and want to sample a tried and true establishment that serves basic yet delicious and cost-effective food options, come on down to Nicky’s Hot Dogs. 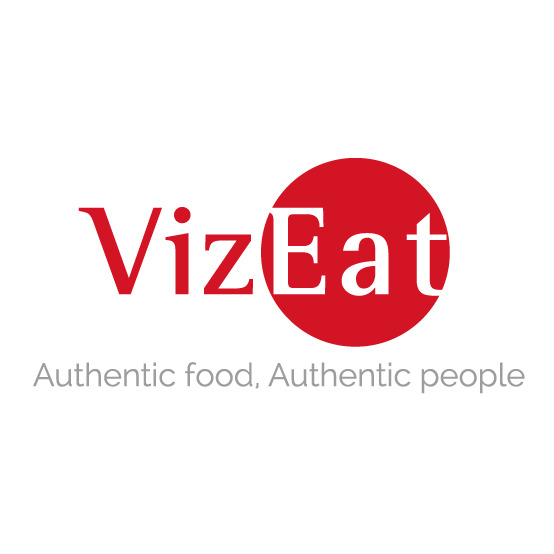 Posted in American Cuisine, Burgers, Hotdogs and tagged baby, big, Chicago, French, Fries, hamburger, hotdog, mustard, onions, relish, restaurant, review, southside. Bookmark the permalink.